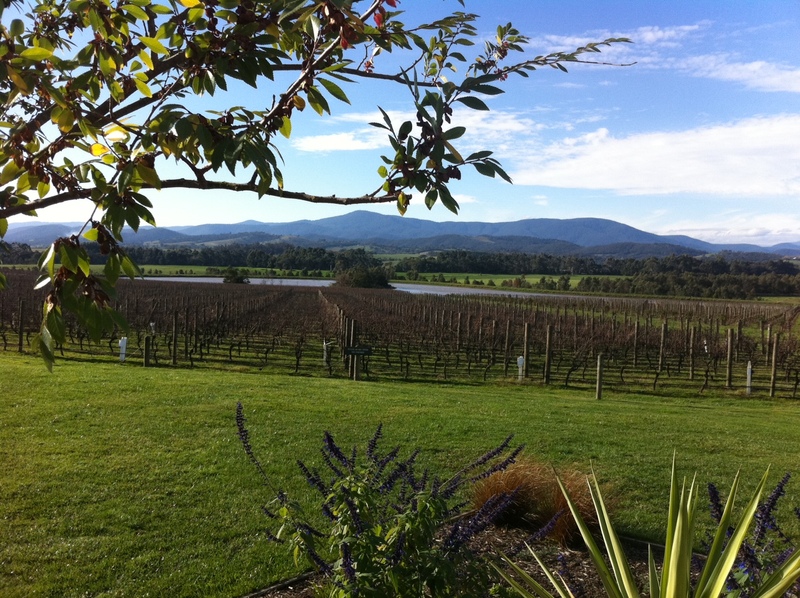 Today we’ve treated ourselves to some cheeky Yarra Valley bubbly. Domain Chandon is our destination, sister vineyard to the famed Möet Chandon. I think Champagne fixes everything, but due to provenance law, today it’s “sparkling” that does the trick. Sunshine and crisp air are a tonic, and we’re very lucky to be sitting here soaking up the rays. Whatever the naming convention, I’m very happy to be toasting to it! Herding cattle can be tricky. Just when you think you have them covered, there’s that little posse of attitudey cows who decide that the grass is greener on the other side – the side of the fence you don’t want them grazing. 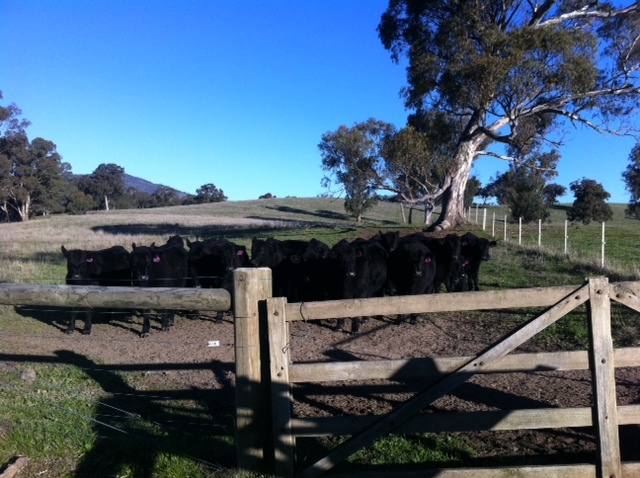 Our Angus cattle are very content, and we’ve worked out that soft encouragement works best for these boys. A few low register sounds of the “shoo” and “koo-mon” varieties seems to agree with them. Whether it’s our mutual Scottish heritage connection or sheer luck, as long as they’re heading in the direction we want them to go, I’m happy. This morning, a good firewood collecting session had them mesmerised. Lined up along the right side of the fence watching intently as Hubby carved a fallen limb with the full-throttle chainsaw, their heads lowed to the rhythmic sounds of manmade machine. The approaching tractor added to the excitement. Their heads turned left to right as they watched the action – chainsawing man, tractor driving woman, chainsawing man, tractor driving woman – reminiscent of a good Wimbledon rally. 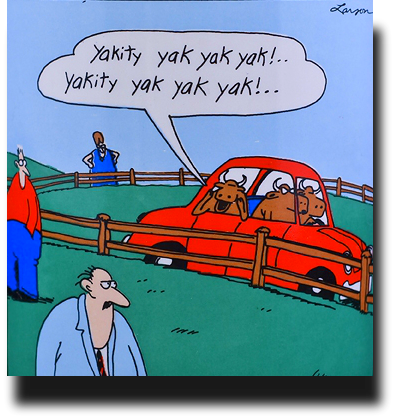 I thought of that wonderful Far Side cartoon depicting people standing in a paddock as a carload of cows speeds by mimicking them. After a morning of providing cattle-class entertainment, I think that genius Larson is onto something. A look at farm life from our point of view, two first generation farmers who accidentally saw an auction advertisement for rural property when we were really looking for a funky city pad. Swapping my heels for Gum boots and chignon for an Akubra, the only time I’ve looked back is when reversing the tractor. We’ll bring together our ramblings on all things farm mixed up with a good dollop of urbanite musings. Welcome to Mulberry Tree Farm, hope you like the view.